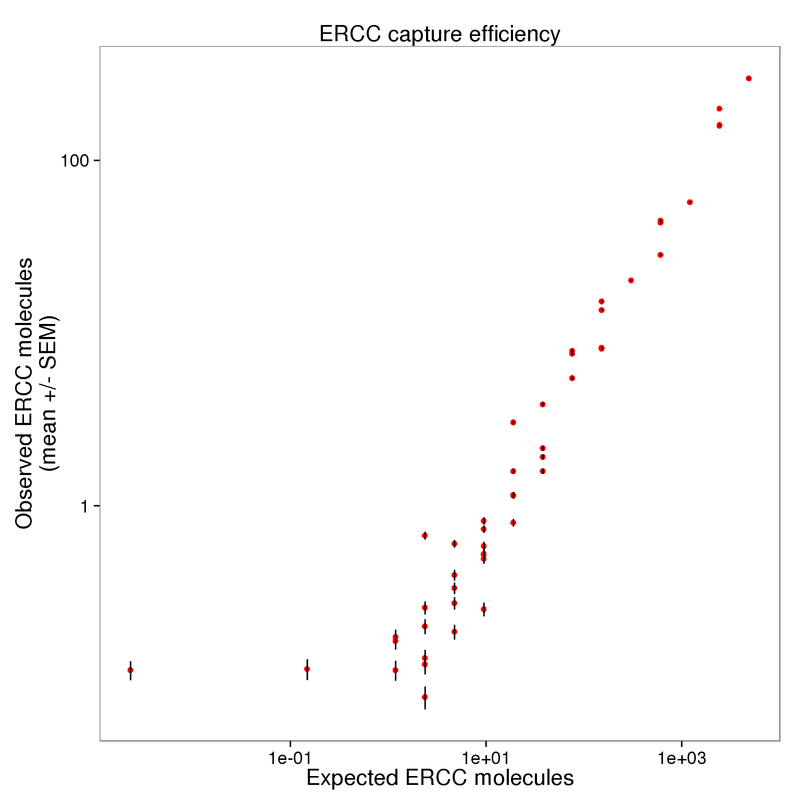 Input ERCC molecule counts calculated in capture efficiency. 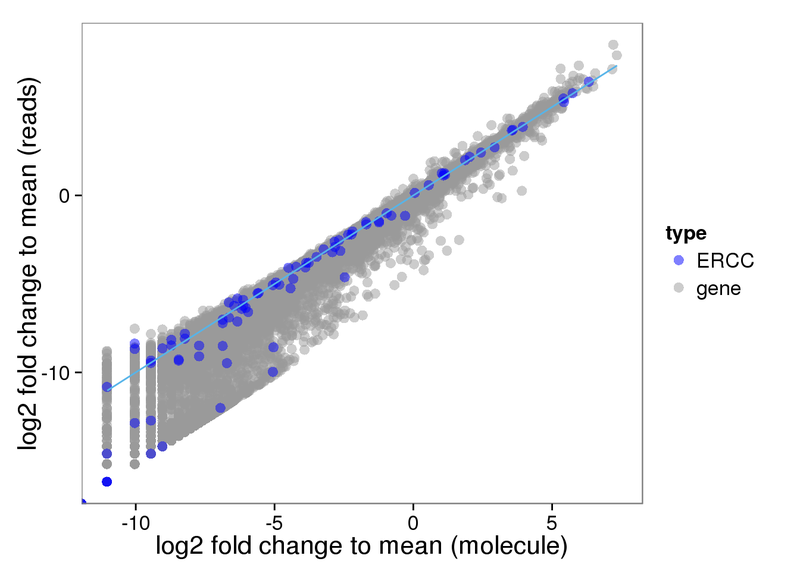 Input read counts and filter for quality cells. 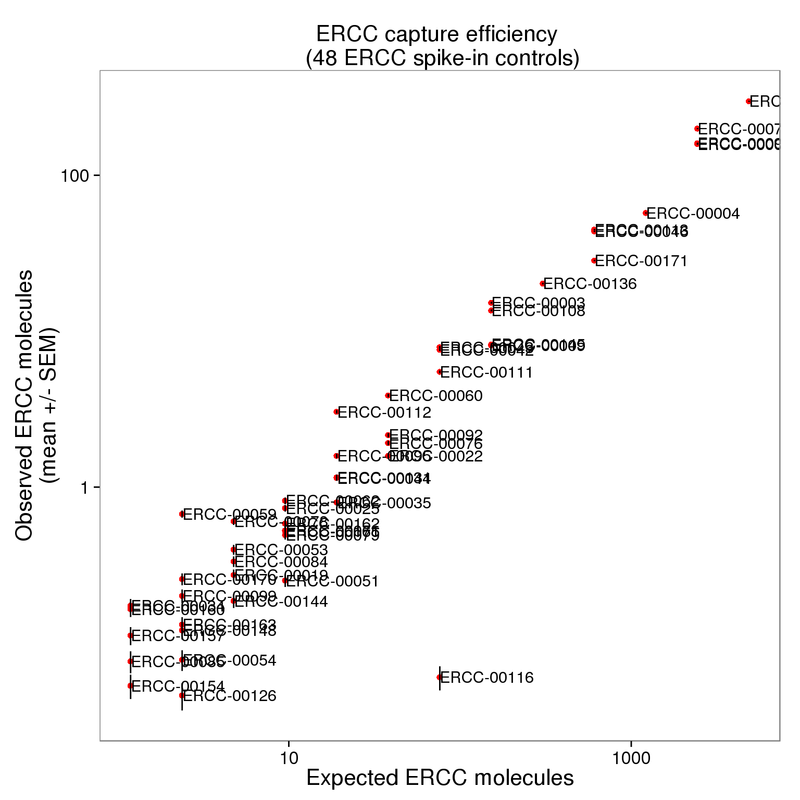 Input molecule counts and filter for quality cell. 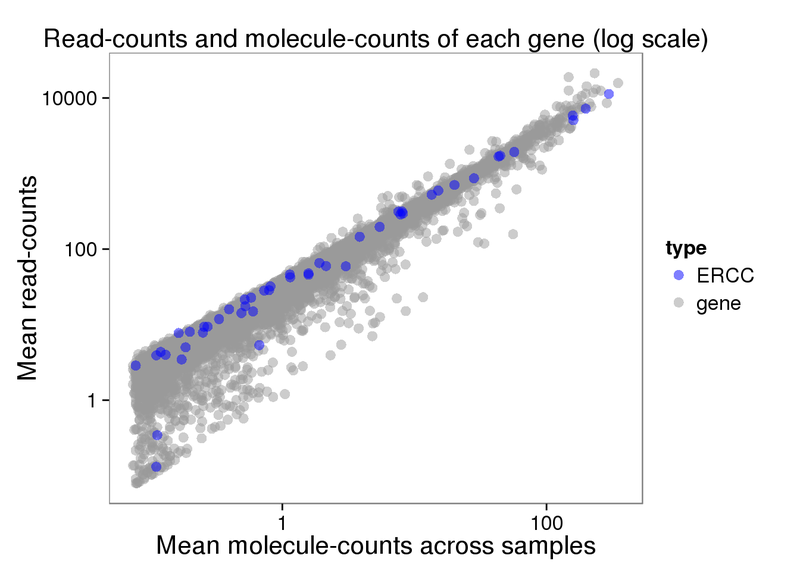 Compare the means of each gene obtained via the different methods. 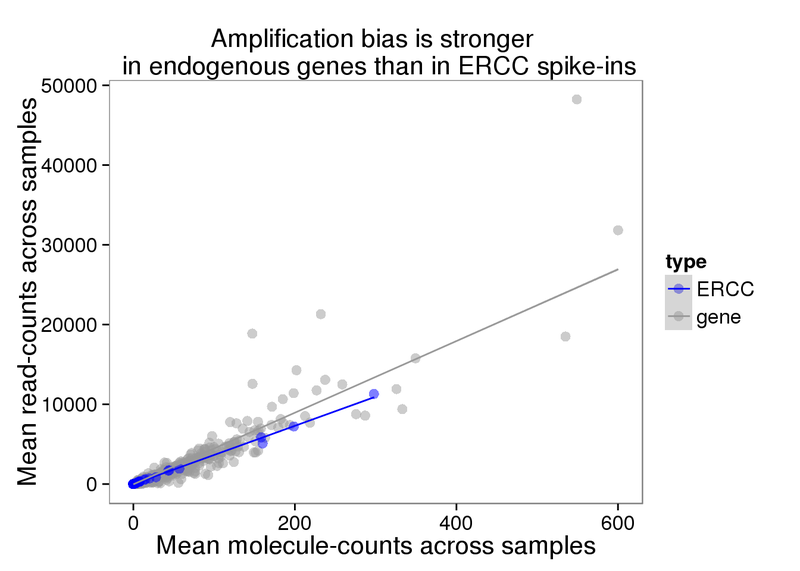 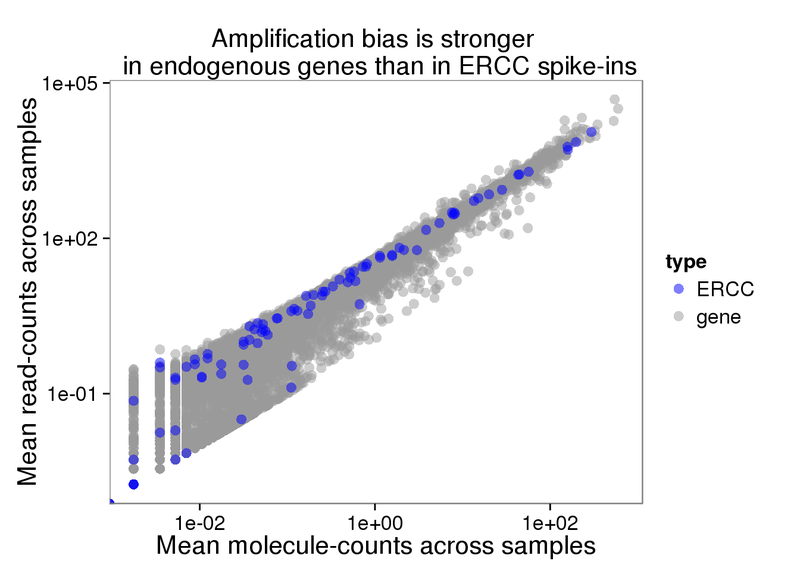 Use only those 50 ERCC genes with at least 1 expected molecule per well.